The government said it wants greater power to monitor what people do online, drawing criticism from privacy campaigners as well as MPs from all three main parties. A bill, expected to be introduced in May, will force ISPs to hold data on your social-network activity, browsing sessions and emails. The information will be equivalent to the phone logs telecoms firms hold about who called which number and when. This means the data won't include the content of an email, but who sent it, who received it, and when. Similarly, the government also wants to see who people are sending private messages to on social networks, such as Facebook and Twitter, rather than the message itself. Websites will also be monitored, to see where people browse online. The government won't hold the data itself, instead leaving ISPs and web firms to collect it. But it will be able to access the information without a warrant. The idea was instantly criticized, even by some MPs from within the ruling coalition parties, not least because they had already warned against similar plans announced by Labor before the 2010 election. The Liberal Democrat's president Tim Farran said his party would "kill" the bill if it became "a threat to a free and liberal society". Difficult to say, because the bill has yet to be formally introduced. The criticism of the bill has been so severe that the government may choose to tone it down. But if it passes as described, it will mean the government can access more information about emails you send and websites you visit than ever before. There's also a danger of this information being leaked and hacked, or used for marketing purposes by the companies that collect it. Broadband prices may rise, too, if ISPs pass the costs of monitoring web activity onto customers. If you're not happy with it, look to organizations such as the Open Rights Group (www.openrightsgroup.org), which will lead any protests. Unnecessary, expensive, intrusive possibly even technically impossible: this plan is so flawed it could only be introduced by politicians who simply don't understand the web and how we use it. There are so many ways for people to get around such a system that this plan is useless for tracking anyone who doesn't want to be tracked. Plus, with all that data sitting there, waiting to be used, it would only be a matter of time before it's put to use in other ways. 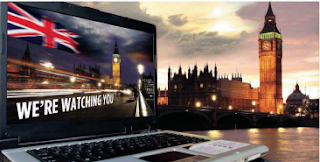 The Regulation of Investigatory Powers Act (RIPA), which manages how authorities can snoop on us, has infamously been abused by local council staff, so why would this be any different? By not requiring warrant s, the data is left open to abuse. Requiring a warrant for access would be a good first step to improving this plan. The government may need better tools to combat terrorism and crime, but it needs to go back to the drawing board on this one. The coalition has been pressured into U-turns on tech issues before, such as blocking social networks during the 2011 riots, and the same should happen here.